The breakfast at Ryokan Yoshii was just as magnificent as the dinner the night before had been, and it took Lea and I over an hour to get through what was put in front of us, which included an incredible tray of nori that was flavored with incense. The incense was still burning when we arrived at our table, so the room was filled with the pleasant scent of what would also become a light flavor later in the meal. After a final lovely dip into the ofuro, Lea and I headed for Achi Shrine, located at the top of the hill immediately behind the ryokan. The approach to the shrine is via a long set of steep, stone stairs and as we were walking up them we were passed by the entire Kurashiki high rugby team, who were in training. They yelled “Hello!” and “Gozaimasu!” and even “Oi!” as they passed us on their run up the shrine stairs. The Achi shrine complex itself is precisely at the top of the hill and there’s a small, covered veranda that looks out over the city. 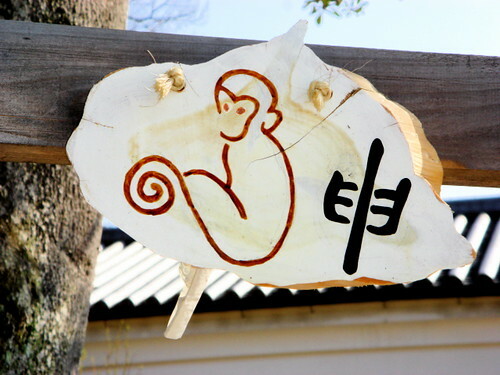 The main shrine building sits in the center of the complex, but there are numerous smaller shrines dotted around the grounds, including several inari shrines and a pair of rocks that are roped together to represent Izanami and Izanagi. 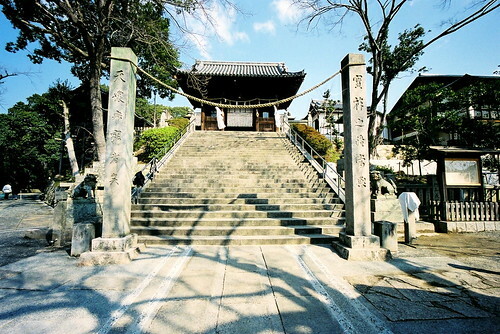 The final set of stone steps leading up to the Achi Shrine entry gate. 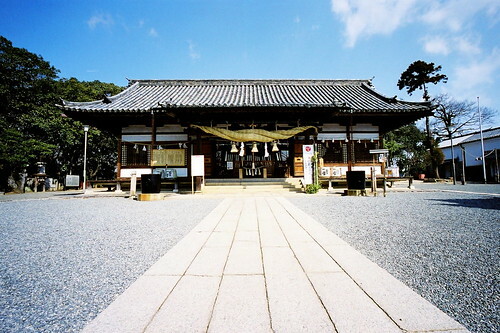 The main hall of the Achi Shrine complex. 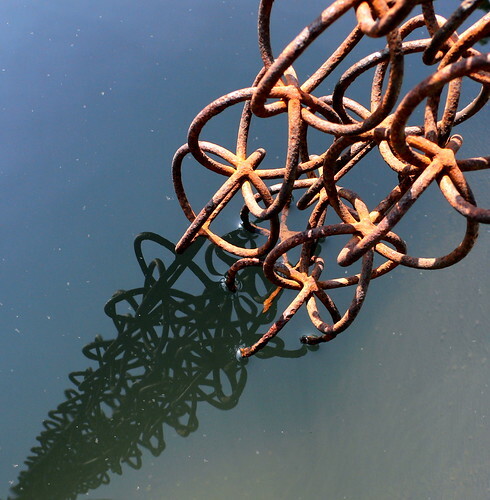 One of the smaller shrines at the Achi complex. 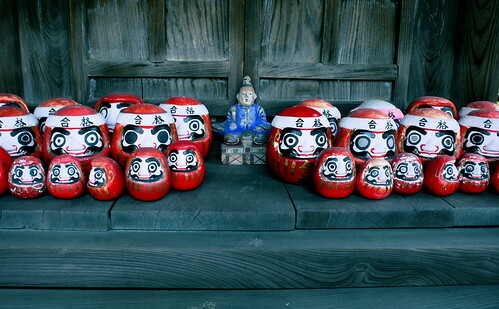 It turns out that these daruma figures are one of the local Kurashiki folkcraft specialities.